HAWE ULW Field transfer trailer for cereals, seeds and fertilizers are the key machines for the efficient harvesting of all mower Druw fruits. 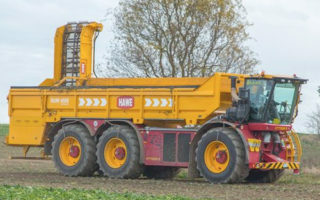 HAWE beet transfer trailer are produced with 24 and 50 cubic meters to match the 2 and 3-axle beet harvester. They are equipped with tandem or Tridem chassis. The SUW silage field transfer trailers offers a cost-effective and environmentally friendly concept in the silage harvest. The transport to the camp site is carried out by truck on the road. The KUW 2000 is designed for the fast, harvest-friendly potato harvest. With the well-known HAWE design, it offers an efficient and comfortable solution with a load volume of up to 30 m³. HAWE universal spreaders are offered with cargo volumes of 12 to 34 cubic meters. In the program are 5 types with tandem and 2 types with tridem chassis. HAWE dump trucks MK are robust, reliable, durable and economical vehicles. Decades of experience and close dialogue with practitioners are what characterize our products. 40 or 50 cubic meters of cargo volume to choose from. HAWE SLW are for professional use, high loads and a long lifespan. With 27 to 60 cubic meters of load volume, they were developed in close cooperation with corresponding users. The HAWE WPS systems enable optimal utilization of the high-quality tandem and tridem chassis with several removable structures throughout the year. 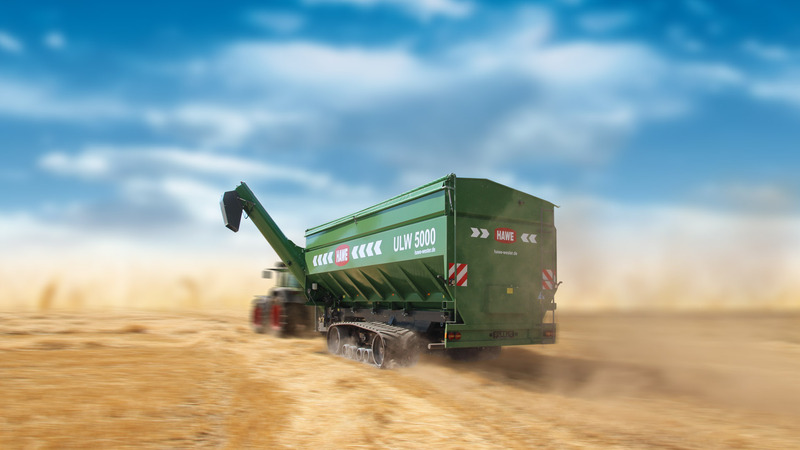 HAWE offers you compact, extra narrow straw distribution cars with a high load capacity for powerful resolution, crushing and distribution of round and square bales. HAWE feeder trailers for the daily feed template, with volume of 7.5 to 25 cubic meters. This allows livestock, or the different power groups, to be fed quickly and cost-effectively.